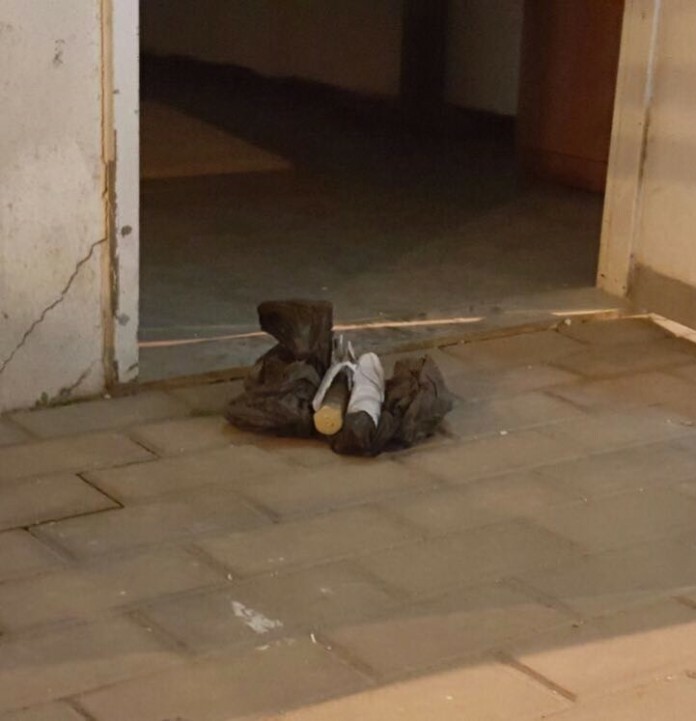 Pipe Bomb Found on a Bus at a-Zaim Checkpoint 18.2.16 Photo by Israel Police Spokesperson. Jerusalem (TPS) – Two pipe bombs were found on a Palestinian bus at a-Zaim checkpoint by vigilant policemen tonight shortly before 7:00 PM. The a-Zaim checkpoint is a well-traveled eastern entry point into Jerusalem from the Jordan Valley and the Dead Sea. According to a Jerusalem District Police spokesperson, close to 7 :00 PM, Border Police officers, with the help of the Military Police, stopped a private Palestinian bus for a routine inspection during which a Palestinian passenger aroused their suspicion. Following a thorough search of his belongings, two suspected explosive devices were discovered. The scene was secured by the Military Police and the Border Police officer until the arrival of the bomb squad. A bomb technician identified the suspicious devices as pipe bombs. Both bombs were successfully defused and neutralized on the scene. “The vigilance, alertness and professionalism of the police officers and soldier has proven itself once more today,” the commander of the Jerusalem District Border Police said following the event. “The discovery and diffusion of these bombs before having reached their destination might have saved many lives,” he added. The suspect, a 27-year-old resident of East Jerusalem, was arrested and taken for questioning.